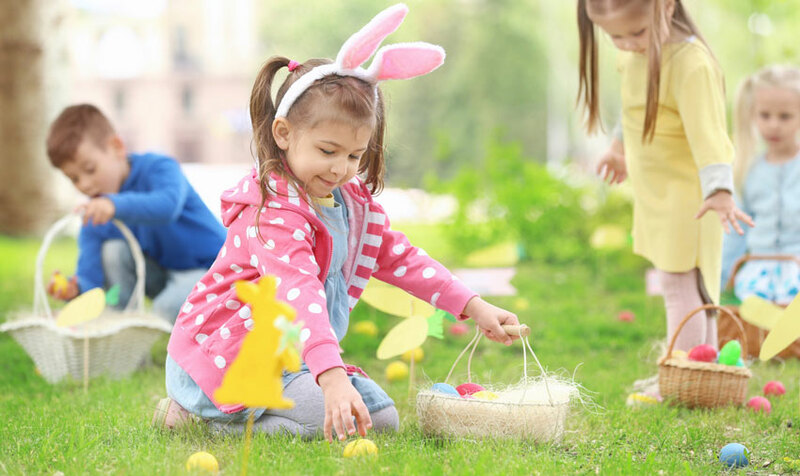 Easter weekend is just around the corner and if you are looking for a great way to spend time with family, get out into the community and have some fun, there are a number of events in the area that you will want to check out! Egg Hunt begins at noon for children 0-12 years old. There is a dedicated special needs section as well. After the hunt, there will be a prize raffle. Ogden City Recreation will be putting out 15,000 eggs on April 20, 2019, for our annual Easter Egg Hunt for 4 different age groups. Come out and enjoy a great time with your family. They will be providing 1,000 free hot dogs and cookies after the Egg Hunt. The egg hunt will be at The Marshall White Center Park just behind The Marshall White Center. Spring inspired ingredients and dedicated chefs come up with the most highly-touted Easter Brunch in all of Northern Utah. Live piano compliments the majestic dining setting. All-you-can-eat buffet with a selection of items made with spring-inspired ingredients. Adults $55, Youth (6-12) $30, 5 years and under are free. Parties of 6 or more will receive an 18% auto-gratuity. Price does not include tax or gratuity. Reservations Mandatory. Join in the fun at Station Park’s 6th annual Bunny Bop! Parents will want to bring their cameras to catch photos of their children enjoying a variety of games, activities, and entertainment. Bring the family out to enjoy some springtime fun at Fisher Parker. The hunt will begin at 10am sharp with the park being divided up into age groups. This free event is put on for children between the ages of 0-10. Grab your children and your furry friends and make your way over to Camelot Park, where there will be a dog and child-friendly egg hunt. You will even have a chance to win free dog grooming for your fur baby. Bring the whole family for a fun-filled event at the annual Easter Eggstreme. At Electric Park, kids will enjoy massive egg hunts filled with prizes such as small toys, treats, and other goodies. There will also be a very special guest, the Easter Bunny, to meet with kids and take photos. In addition to the egg hunts, other activities include riding the cow train, jumping on inflatables, face painting, and more! Celebrate Easter with the whole family at Easter Bunny Breakfast. Choose your personal preferences at our breakfast buffet, along with visits from the Easter Bunny. Enjoy complimentary pictures with the Easter Bunny, fun activities, decorating Easter eggs, and visiting a bunny petting zoo! Each ticket also includes free admission to Easter Eggstreme! For many families, going out for Easter Brunch is as traditional as Easter baskets, chocolate bunnies, and colorful eggs. The Gathering Place at Gardner Village is the ideal spot for soaking up spring along our lovely pathways and indulging in a delicious Easter Brunch. Chef Max is preparing a wonderful variety of specialty items to excite the palate and fill your tummy. Enjoy a made-to-order omelet or crepe. Delight in a freshly made waffle with warm maple syrup. Fill your plate with apple-wood smoked bacon along with eggs benedict. Savor our carved Prime Rib of Beef, Cod Almondine, and sweet potato casserole. Or dip into our 3-tiered Belgian Chocolate Fountain with its fancy fruits and treats, or revel in our rich, mini pastries and tarts. The hunt is for children ages 2-15 years old and is broken down into smaller age groups. In addition to candy, children who find a shiny, gold egg can redeem them for a prize afterward. The Easter Bunny will be there for pictures as well. Bring your family out to enjoy a morning of egg hunting! The egg hunt is for children ages 0-11. This event will be held at the Mountain View High School Football Stadium and the West Lawn of the Orem Fitness Center. We are hiding eggs filled with goodies all over the store! Bring your baskets and collect 1 of each color! Find LEGO® bricks and candy with a special custom printed accessory inside the eggs!! Bring some-bunny with you and share the FUN! For ages 15 and under. Dimple Dell will be holding our annual Easter Egg Dive in the pool! Register now and come to the pool to hunt for the eggs and get some goodies! Special prizes for those who find the GOLDEN EGGS! Bring your camera and come take pictures with the EASTER BUNNY! Space is limited. Sign up early to ensure your place in the dive. Registration will be taken up until the start of the event. Come celebrate the Easter holiday with an Easter egg hunt! Join us on Saturday, April 20th for an egg hunt! Hundreds of eggs will be available to find! Enjoy a gourmet Easter Brunch and time with family and friends. Tasty creations and delightful drinks. The Easter Bunny has delivered 32,000 candy-filled eggs to the park and recreation department! See how many you can find at 10 am sharp! Event for SunQuest OA members. Join us for goodies, games, face painting and lots and lots of eggs to find. The hunt begins promptly at 10:30! Join us this season for an Easter Egg Hunt LEGO® edition! On April 20 from 9-10 am. Each child will have the opportunity to find 12 assorted eggs of their choice! Each egg will be filled with a special surprise and all children are guaranteed to walk away with at least a $15-20 value in merchandise/ prizes. RSVP is a must as there are limited slots. Entrance fee is $15 each. Hoppy hunting! As a token of appreciation, you are invited to The Eckman Group's annual Easter Eggstravaganza! Please join us for an array of games, Easter activities, and Food & Drink! Bring the whole family for an afternoon of fun. Each participant will assemble, decorate and take home a 6” Easter Bunny Cake. Each participant will learn how to assemble the cake from start to finish. We will frost and stack cakes and learn how to make the ears, bow, eyes, nose and whiskers, and learn how to pipe the Bunnies hair. All tools & materials are provided. This is a hands-on class that will last approximately 2 - 2 1/2 hours. We look forward to meeting you! Details: Look for eggs, pet some real bunnies, make a craft, and participate in story time. Participant fee includes: participation in the hunt, Easter pail, goodies in the bucket and wagon rides for up to 4 people (between 9 AM- 3 PM). Join us at Centennial Park as we search in the dark for candy and prize eggs. This annual event is an Easter favorite for everyone ages 18 and older. The cost for this event is $7 and pre-registration is required by April 17. Bring a flashlight, basket and photo I.D. Come out to Centennial Park West Softball Complex for a traditional outdoor Easter Egg Hunt. This annual event is an Easter favorite for everyone age 12 and under! 8:30 AM Sharp! This event is free. Please remember to bring a basket. MUST PRE-REGISTER by Monday, April 15th. Children and youth must be accompanied by a paying adult. Each child will receive a photo with the Bunny and a gift bag. Extra photos will be available for $3.00. Remember to bring a flashlight and basket. Join us for our annual Easter Egg Hunt! This is an event for the whole family. Select how many eggs you wish to find and be sure to open them before you leave, they just might have 2 free passes to one of our educational workshops this year, gift cards, animal feed or other fun prizes. Eggs are first come, first serve, so we encourage you to come and enjoy the farm at your leisure and see what the Easter Bunny has stashed in every nook and cranny. The annual Riverton Children’s Easter Egg Hunt is a hit for kids age 12 and under! The event starts at 10 a.m. SHARP on Saturday, April 20 at the Riverton City Park. Kids will be separated into hunting areas, based on age, to hunt for eggs and prizes. The Easter Bunny will be on hand to greet and visit with children. Attendees are encouraged to bring a basket or bag to carry gathered items, as well as to dress warmly. The event is FREE and starts at 10 a.m. sharp, so be sure to get to the park a little early. Join us at our FREE Eggcellent Easter Carnival Fundraiser! Lots of activities including Free professional face painting, Free clown with balloons, meet the Easter Bunny, meal for $1, and LOTS of EGGS! Egg hunts will happen each hour at 4 pm, 5 pm, & 6 pm. Join in the silent auction and raffle prizes. There will be lots of vendors for shopping and having fun with! Enjoy fun with family and friends and find some Easter eggs while you are at it. The Youth City Council has been busily preparing and filling Easter eggs for the annual North Salt Lake Easter Egg Dash! This fun family event begins promptly at 9:00 am on Saturday, April 20th at Hatch Park. Don't be late; it's short and you'll miss it! Kids will be divided into age groups: 18 months to 3 years, 4-6 years, 7-9 years, 10-12 years, and a group for those with special needs! Details: Come and check out this FREE event. Bring your kids to enjoy inflatables, face painting, the egg hunt, cotton candy, popcorn, petting zoo and more. A food truck will be available to you to purchase food and snacks. Enjoy a morning of family-friendly fun. The hunt is on at 10 am sharp. There will be raffles, prizes and tons of fun to be had! Bring the entire family out! Calvary Salt Lake celebrates Jesus resurrection at Abravanel Hall. Come celebrate the Risen Christ with trumpets and song at 11 A.M. A reception and Easter Egg Hunt will follow worship. We invite all people, regardless of color, gender, sexual orientation, or station in life, to be on their journey of faith, exploring what it means to follow Christ together. This egg hunt is out of this world! Find cosmic goodies hiding among Jupiter’s moons, whirling tornado vortexes, and deep-space black holes. There will be some fun science demos after the cosmic egg hunt -- see what happens to marshmallow peeps inside a vacuum chamber, and make household catapults to fling Easter Eggs. This event is free to the public, but space is limited to the first 500 registrants so register today! Please note: only register for the number of kids who will be participating in your group (no need to include adults in your registration number). Enjoy Easter Brunch with flair! The Tabernacle Choir, the Orchestra at Temple Square, the Bells on Temple Square, and the Gabriel Trumpet Ensemble will present “He Is Risen: A Sacred Easter Presentation”. Admission is open to those eight-years and older. Tickets for the concerts are free and are distributed on a first-come, first-served basis. Each patron may request up to four tickets. Patrons without tickets are encouraged to join the standby line by the flagpole on Temple Square for last-minute seating which is often available. On April 20 from 9-10 am each child will have the opportunity to find 12 assorted eggs of their choice! Each egg will be filled with a special surprise and all children are guaranteed to walk away with at least a $15-20 value in merchandise/ prizes. On Sunday, April 21st the Garage on Beck Street will host Mr. Jesse Walker’s 9th Annual ‘Bunny Hop,’ presented by SLUG Magazine. This Easter Sunday celebration includes a brunch buffet, prizes, award-winning local DJ’s playing only vinyl records from brunch to sunset. Guests can also hunt for eggs, enjoy surprise guest artists and an appearance by the real Easter Bunny. Cost of the event is $5. 3 floors of Easter Eggs--a hunt for all ages! Join us for breakfast, songs, and an EPIC hunt for eggs! Utah is full of awe-inspiring and jaw-dropping terrain. And in the winter time, this terrain becomes a vast playground for residents and visitors to explore. 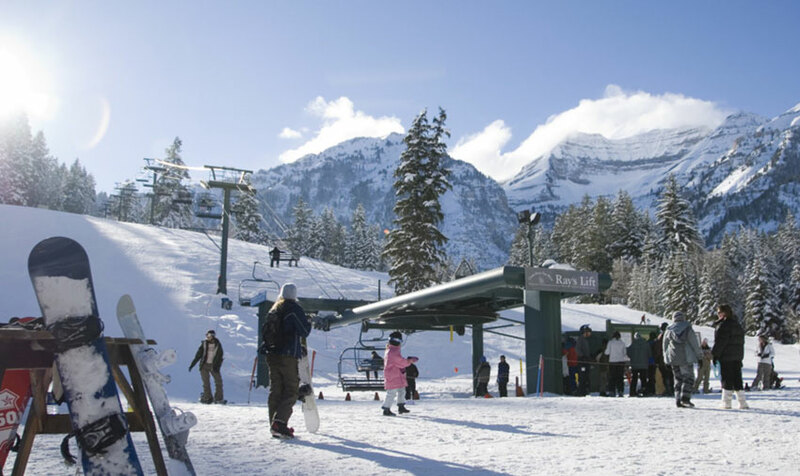 With desert and the Wasatch Mountains, it’s the place for everyone and anyone to find their winter wonderland. Even if you’re in Salt Lake City, this is a must for a day trip. It’s an hour and a half drive from Salt Lake - but it’s entirely worth it. Crystal Hot Springs is a mix of hot and cold pools and baths. And surprisingly, it’s the world’s largest hot spring (yup, you read that right). They also offer lodging close by! Enjoy a day and night at the Hot Springs. Chill in the warm baths and escape that cold winter air for the day. It’s the largest ski area in the USA. And on an average day, the number of tourists actually surpass the population of residents that live in the city. Forbes Traveler Magazine has even named it one of the top 20 prettiest towns in the USA to visit. You’ll get spectacular views and be able to dive into an abundant of outdoor winter activities. Go for the weekend or an entire week. It’s unlikely that you’ll run out of new runs or resorts to check out. It’s essentially the epitome for skiers and snowboarders alike. 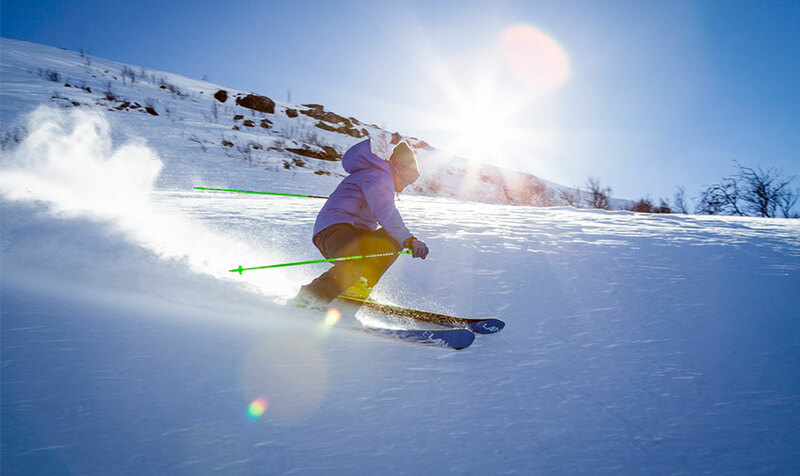 Suggested Accommodations: Deer Valley Resort is considered one of the best. Book early and dine and wine in style. Also located close to Salt Lake City, this spot offers a place for the explorer in you. And there are trails upon trails. You can also bring your furry friend - an added bonus for those dog-lovers out there. It’s 5000 acres of slopes and twists and turns. And the runs are perfect for any level skier or snowboarder. It is also the hot spot for the Sundance Film Festival every year. And if you aren’t into skiing, there are other activities as well. You can feed your taste buds at a variety of restaurants, go for a hike, and just enjoy the view. This destination in Utah is not one to be missed! 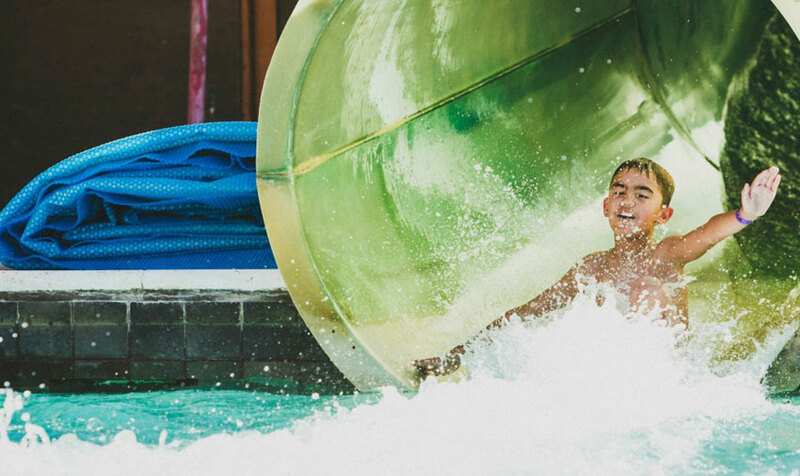 Looking for the ultimate family getaway? Try this backcountry lodging. You’ll find adventure, relaxation, and more. There’s a spa, hot tub pool, and more. Get a little rustic and getaway for the weekend or the week. You’ll love it here! There’s also Soldier Hollow in Heber with sledding, tubing, and cross-country skiing galore! Iron County has multiple recreational areas making it the perfect winter destination. You’ve got hiking, skiing, and more. And the Brian Head Ski Resort is where it’s at. This beautiful ski resort puts you right in the middle of all of Utah’s glory. You’re in the midst of the Red Rocky National Parks. And it’s a little less crowded than other Utah destinations - but not any less scenic or adventurous. 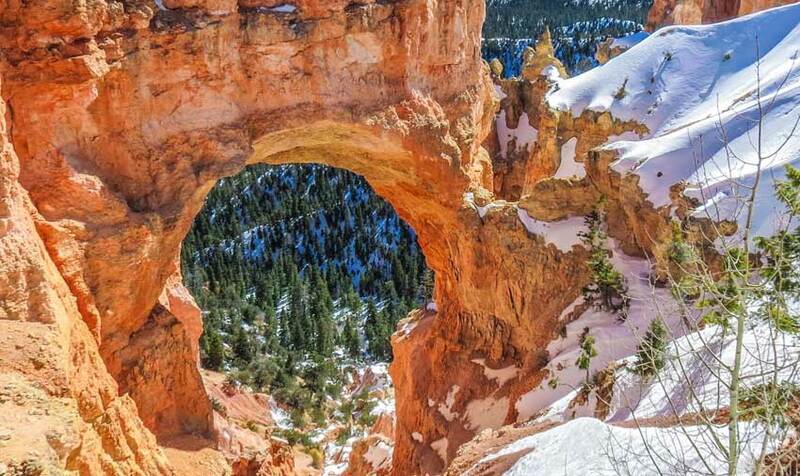 While many opt to see this park in the summer, Bryce Canyon National Park is also open in the winter months. There are also fewer people in the winter, and you may get away with not having to pay an entrance fee. And the canyon itself is quite the site topped off with snow caps and a light snow dusting. Plus, there’s still lots to do. There’s cross-country skiing, snowshoeing, snowmobiling, and horseback riding to enjoy in and around the park during the winter months. If winter isn’t exactly your thing, Kanab offers a warmer climate and less snow. You’re also close by to Bryce Canyon National Park, Zion Park, Lake Powell, and the Coral Pink Sand Dunes. Kanab also hosts the Kanab Balloons and Tunes Festival in February. Fly up into the sky and see beautiful Utah from heights unknown. 9. 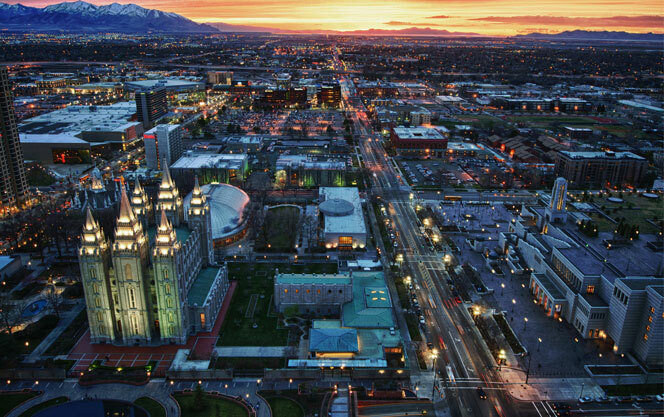 Stay in Salt Lake City and Explore From There! As aforementioned above, Many great activities and locations are accessible from Salt Lake City. Plus, it’s the capital of Utah. You get views of the Great Salt Lake and the Wasatch Mountain Range. On top of that, you’ll get the best of the best in entertainment and restaurants in and around the city. Spend a week or a weekend. We guarantee you won’t run out of things to do or places to explore. You haven’t truly been snow tubing until you’ve done it at Wasatch Parc. It’s fun for the whole family. And there’s the Powder Mountain ski resort located nearby. Go tubing for the day, then spend the rest of the week hitting the slopes! Utah is Yours to Explore! Plan a different destination every year. Utah has a lifetime of opportunity and exploration for you and your family or significant other. And winter offers one of the best times to experience this beautiful and spectacular state! 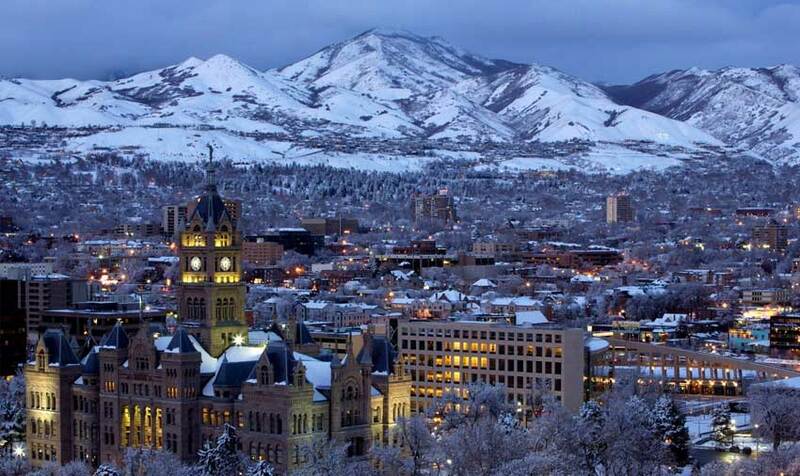 Salt Lake City, Utah offers a diverse range of neighborhoods to suit any budget and preference. Whether you want a small starter home or a sprawling mansion, a home close to the ski hills, or a short commute, Salt Lake City has it all. Use our top 10 list of neighborhoods in Salt Lake City, Utah to match neighborhoods to your preferences and simplify your home search. You can find the ideal home within your budget and enjoy the amenities our city has to offer. Just take a look at a few of the top neighborhood choices. 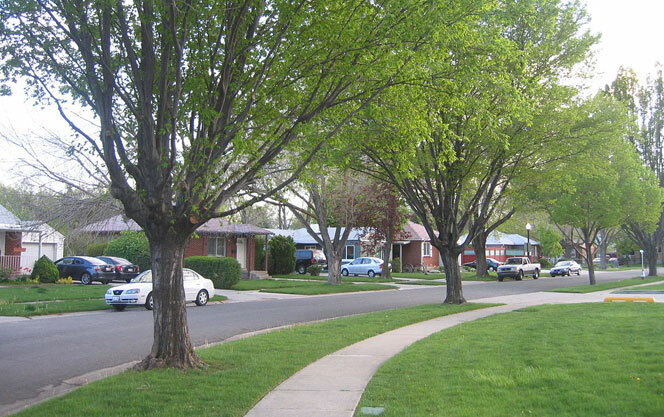 The Avenues is one of Salt Lake City’s oldest communities just northeast of the downtown core. It offers an eclectic mix of Victorian houses, brick bungalows, and framed cottages, It has a cosmopolitan feel, and it’s a great alternative for people who want to avoid a commute. Salt Lake City uses a grid plan and “The Avenues” refers to the numbered avenues running east-west throughout this section of the city running upwards near Capitol Hill. Homes on the Lower Avenues tend to be less expensive, while those on the Greater Avenues offer sweeping views of the city, large family homes, and steeper price tags. 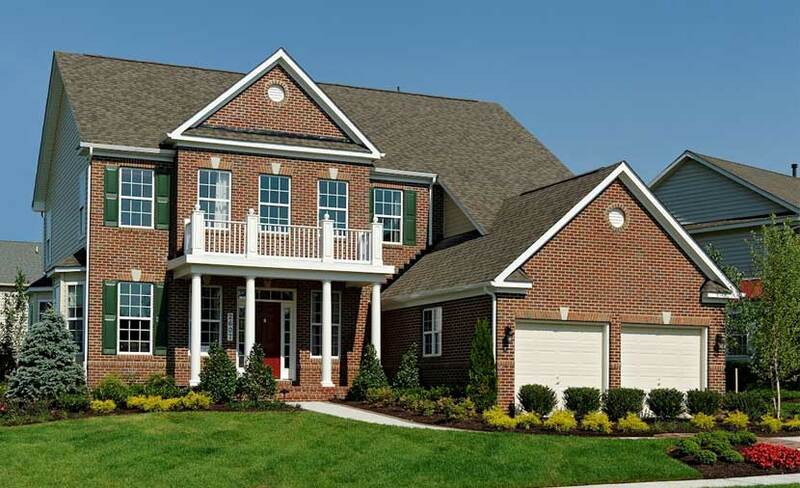 The Avenues is an ethnically diverse, tightly-knit community with plenty of amenities. You can easily walk or cycle to restaurants, coffee shops, yoga and Pilates studios, and spas. It has a lively vibe, plenty of schools, and it is popular with families since it is safe and offers plenty of green space by way of the Bonneville Shoreline Trail. Young professionals appreciate the easy access to the downtown core via public transit too. It’s a great place to call home if you want to shop local, shorten or eliminate your commute, and want to live in a welcoming community. Quote From Local Resident - As you drive north from 1st Avenue to 18th Avenue, you get to experience the chronological development of Salt Lake City through its architecture, starting with stately Victorian homes at the base of the hill (circa 1890's) and ending up with Mid-Century modern mansions at the top of the hill (circa 1960's) with a few new homes mixed in for good measure. This gives the Avenues an eclectic vibe, and it doesn't have the cookie cutter feel of planned developments found elsewhere in the city. This small urban area offers a rare collection of well-maintained English Tudor, English cottages, Spanish Colonials, and French Norman-style homes. 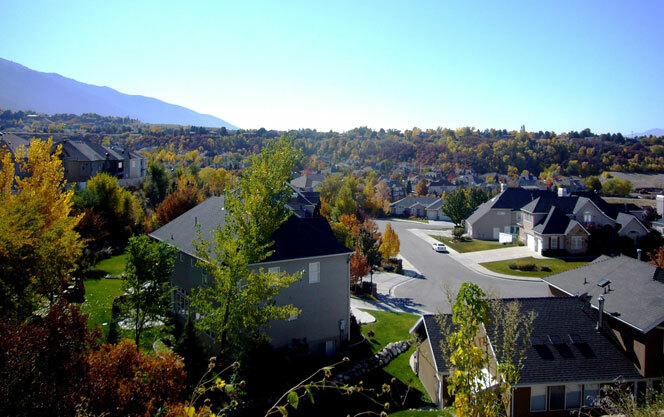 The tree-lined streets, safe, quiet ambiance, and stunning views of the Wasatch and Oquirrh Mountains, make it a very desirable location for home buyers. With decent access to public schools, Harvard, and Yale and a very European feel, it tends to appeal to more affluent buyers wanting mid-range to high-end, well-appointed luxury homes. With a good selection of stores, restaurants, easy access to the schools, the University of Utah, Yale Park, and Yale Gardens, it is a favorite for families and professionals. It also a short commute to the downtown core, whether driving or using public transit. Commuters can ride the Green and Purple Routes of the University of Utah commuter line for free and connect to the UTA TRAX. If you’re looking for a neighborhood with rustic charm and want a home that makes a statement, Yalecrest is a great option. Quote From Local Resident - This is the nicest neighborhood in Salt Lake City! It is diverse, easily walkable, has access to downtown and the great outdoors. 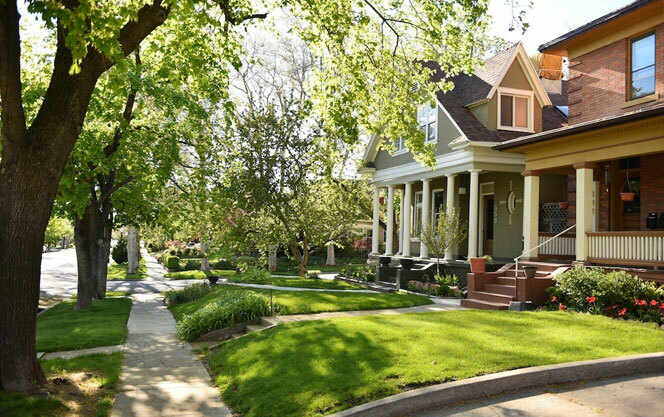 If you are thinking of living in Salt Lake City, you need to check out this neighborhood. This small urban residential community with tree-lined streets offers mid-range homes in a safe, quiet neighborhood. They’re well-maintained with excellent access to public schools, so it’s not surprising it’s popular with young families. However, Baby Boomers and Millennials appreciate it’s friendly, welcoming nature and proximity to local shops and good restaurants. Perhaps its biggest attraction to the area is the access to natural areas along Emigration Creek which runs through the district. The 11-acre Wasatch Hollow Preserve includes meadows, towering trees, trails and a pond. This oasis amidst the city is the ideal place for recreational activities, picnics, and nature walks. It’s a short 15-minute drive to downtown Salt Lake City and cyclists can get there within half an hour. 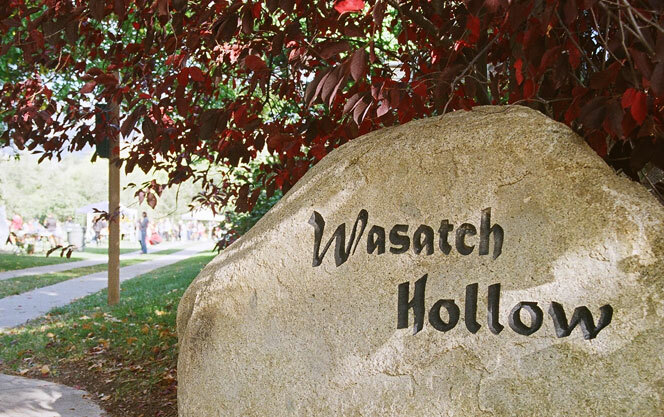 Wasatch Hollow is best suited to those who want to live in an area with less congestion and more green space. Quote From Local Resident - Quiet, safe, walkable - what more can you ask for? Homeowners take pride in ownership and it shows in how they care for their lawn, home, etc. It is a great place to raise children as it is diverse and has tons of good schools around. This small, primarily owner-occupied residential area offers windy lanes and beautiful homes. Houses range from the upper mid-range to extravagant in this attractive area at the base of the Wasatch Range. Most of the homes in this area offer plenty of space, fantastic views, privacy, and the area has the lowest crime rate in the city. It is primarily a car-oriented community with about a fifteen-minute commute to the city center, but you can grab the Salt Lake City Central Station train and arrive downtown in about forty-five minutes. This affluent neighborhood has easy access to elementary, middle, and high schools, so it’s a great place to raise a family. You’ll also find the Bonneville Golf Course, Wasatch Hollow Open Space, Hogle Zoo, and hiking and skiing nearby. The area has a limited selection of quality dining and shopping options at the Foothill Village too. The Foothill neighborhood suits people who want a safe community, and a substantial, stylish home and a good view. Quote From Local Resident - This is a very safe and friendly neighborhood. I highly recommend it! Sugar House is a safe and quiet community and a hotspot for middle-class homeowners. It’s close to the University of Utah and Westminister College and has a decidedly young, vibrant flavor. It was once home to a sugar beet test factory, hence the unusual name. This area features many 1920s homes suitable for renovation and trendy mid-century bungalows. It is a highly desirable area, because it is close to downtown, but offers every amenity you could ask for and streets lined with sycamores. Today’s Sugar House is friendly, with artisan flair and a local vibe. 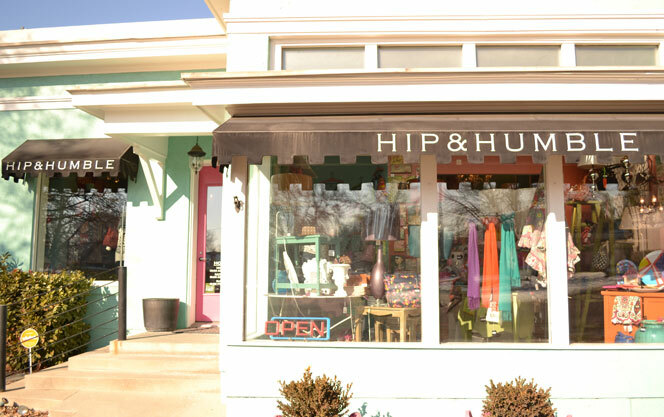 This makes it very popular with families, young professionals, or anyone who likes to shop locally. The area also offers a great selection of quality public schools, including five public elementary schools, two middle schools, and two high schools. People who live in the area enjoy it because is close to the heart of the city, but it is also a strong community with a hip vibe. You can drive to downtown in 10 minutes, and it’s easy to access the mountains, hiking, skiing, and snowboarding too. Sugar House also offers great transit connections and the S-Line streetcar which connects with TRAX. Many residents bike to university or college or cycle 5 minutes into the city, but spend their dollars close to home in the local restaurants, bars, boutiques, and bookstores. Even though Sugar House has a wonderful family vibe, it also caters to those who want to venture out during the evening for fun. It is home to several of the top ten bars in the city including Fiddler's Elbow and the Campfire Lounge. This eclectic neighborhood also offers the huge Sugar House Park, with bike trails, lakes and forest, and stunning views. Go for a run, walk your dog, feed the birds, or go sledding in the winter. The Sugar House neighborhood appeals to people looking for opportunities and community. Residents claim the area feels small town, even though it is near the heart of the city. Quote From Local Resident - I'm less than five minutes to the heart of Sugarhouse, ten minutes to downtown, and ten minutes to southern Salt Lake County. Beyond convenience, I like the overall atmosphere and vibe of Sugarhouse. I like the abundance of coffee shops, bars, and restaurants. 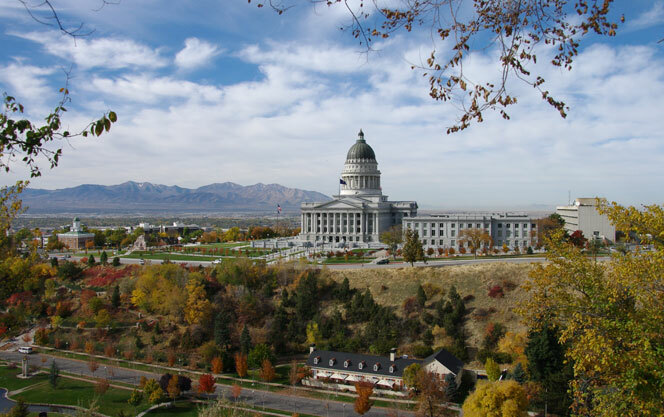 Capitol Hill is home to the Utah State Capitol building which sits high above Salt Lake with sweeping views of the entire city. 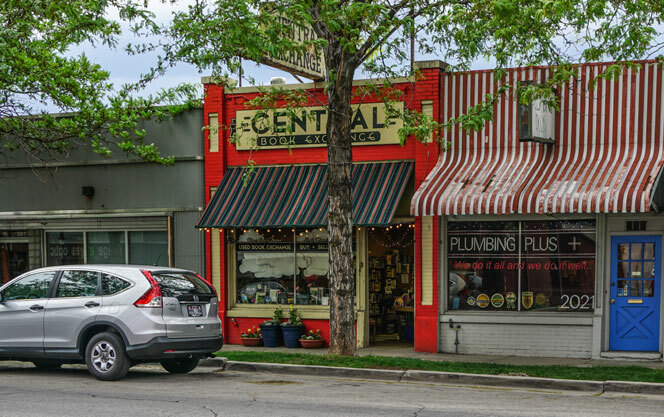 It is also a thriving neighborhood with a mixture of Gothic and Victorian homes that attract older residents, young families, and professionals due to its greater location and connections to the rest of Salt Lake City. Well-connected by bus and train with easy access to the downtown core, airport, the University of Utah, and south or north of the valley, it also offers stunning natural beauty and the ultimate combination of urban and rural landscapes. The natural highlight of the area is Ensign Peak and below Memory Grove Park, with Bonneville Shoreline Trail passing through it. The park is the ideal place for biking, walking, dog walking and running. Marmalade is a district within Capitol Hill that offers more modestly-priced homes and a friendly atmosphere. Consequently, it attracts many young families, young professionals, and seniors. It’s very diverse and has a large LGBT community, plus the offers affordability. Fruit trees line many of the streets here too, but it is far from sleepy. It has a lively nightlife too. The Capitol Hill and Marmalade neighborhoods suit people who welcome diversity, a bit of nightlife, and transportation connections. They’re historic and offer green spaces and room to live. Quote From Local Resident - I LOVE this neighborhood! I plan to live this neighborhood forever. Everything is so easily accessible by walking and I can even take the train to work. 9th and 9th is a hip residential near Sugarhouse with many long-term residents, young families, and millennials. It offers many cafes, restaurants, yoga and pilates studios, boutiques, and streets lined with outdoor art. The once sleepy neighborhood now buzzes with life. The attraction is the many affordable two-story bungalows, Victorian houses, and condos in the area, plus locally-owned businesses and culture. With just ten-minute commute by car and 20 minutes cycling, it offers convenience near the core without the congestion. With plenty of room to walk, bike, or run in sprawling Liberty Park and room to relax in nearby Richmond Park smack dab in the center of the community, you might forget you’re so close to downtown Salt Lake City. 9th and 9th suits people who love small cafes, unique shops, and access to arts and culture. It’s vibrant and fun, and anything but boring. Quote From Local Resident - Incredibly unique area. I love walking around here. It has a very local feel with lots of local businesses. There are tons of places to grab a coffee and relax on a patio. Cottonwood Heights is a suburb of Salt Lake City, just between the Salt Lake Valley and the Wasatch Mountains. While Cottonwood Heights is technically its own town, it is worth a mention because of what it has to offer. It offers easy access to four top ski resorts: Alta, Snowbird, Brighton, and Solitude and a haven for outdoor enthusiasts and people who love space. You’ll also find the Cottonwood Height Recreational Center in the area with a pool, gym, basketball, tennis, and racquetball courts, ice-skating rink and fitness classes galore. Real estate generally appeals to the upper-middle-class families with older children or empty nesters, but you’ll find accommodation at all price points. It offers decent access to public schools, and it is a very safe, clean area. It’s quiet but still has a decent nightlife with plenty of good restaurants. Cottonwood Heights is about a 30-minute commute to the University of Utah and downtown Salt Lake City. This neighborhood appeals to fitness and outdoor enthusiasts and it’s a great place to raise a family. Rose Park is a very small community in the north of the city. It is very economically and culturally diverse with plenty of green space. In recent years, it has seen a surge of young families attracted by the reasonable prices and renovation opportunities. This area is very quiet with proximity to the downtown core and the airport. First-time home buyers often buy a small, post-war brick cottage with a large lot to get into the Salt Lake City real estate market. With plenty of good public schools and easy access to the freeway, it’s a good choice for young family professionals working downtown. Cyclists can get around easily here too. Riverside Park taps into the Jordan River Parkway bike trail. You’ll also find the 18-hole Rose Park Golf Course nearby and Rosewood Park too, ideal for a quiet outing. The Rose Park neighborhood suits first-time home buyers, empty nesters, and young families that want a safe, quiet place to call home and reasonably-priced properties. Quote From Local Resident - My family lives in Rose Park and we love it! Rose Park offers a convenient location, affordable housing, awesome neighbors, cultural diversity, and decent schools. Bonneville Hills is a safe, quiet neighborhood favored by young couples, families, and professionals. It’s almost totally owner-occupied homes and a step away from the action, but that’s what appeals to most people that live here. 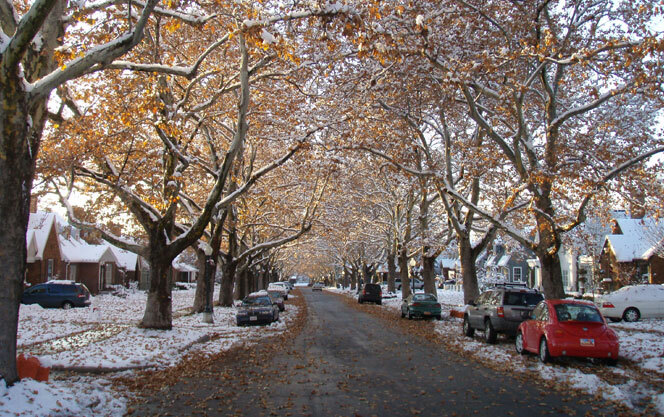 Homes here are older and well-maintained with tree-lined streets and easy access to major thoroughfares. Whether you need to head downtown, onto the freeway, or out for a meal, access by car is only minutes away. Nearby Sugar House has excellent restaurants and a buzzing nightlife, but Bonneville Hills has a few choice restaurants too. If walking is more your thing, you can reach Foothill Village for shopping in less than 20 minutes and to the University of Utah in about half an hour. The area also has two dedicated bike lanes running north-south. Home prices vary widely here, but they do tend to hover around the mid-range and upwards. However, with access to many public schools, parks, and the Bonneville Golf Course, it has plenty to offer. The neighborhoods listed are some of the most popular, but Salt Lake City has many others that may interest you. Let a skilled real estate agent match properties to your needs and show you what this great city has to offer. Harvest Park Group professionals live and work in Utah and know Salt Lake City neighborhoods very well. In our competitive market, you need a seasoned negotiator and highly attentive real estate agent by your side. Harvest Park Group provides you with the edge you need to find and buy your ideal home in Salt Lake City, Utah. Contact us - we’re here to help. Do you think one of these top 10 neighborhoods in Salt Lake City could have the home of your dreams? Contact Harvest Park Group today to book house viewings and to receive more information about this incredible city. View Salt Lake City Homes For Sale by location. The Wall Street Journal came out with an article with the top 10 upgrades to sell your home for top dollar. While these upgrades aren’t specific to Utah, these ideas will help to separate your home and make it stand out, generate a higher price, and sell faster compared to the other homes on the market. Here are the top upgrades listed in the article that are popular with buyers of luxury homes. 1. Retractable Glass Walls - Helps to bring in as much natural light in the home, helps the home feel open and modern. 2. High Ceilings - Cathedral ceilings, vaulted ceilings, ten-foot or higher ceilings are very popular and make a room fill spacious and add volume to a room. 3. Quartzite countertops - This natural stone has quickly replaced granite as the preferred countertop material choice for kitchens. The stone comes in a broad variety, provides a crisp look, and is less likely to stain than marble. 4. 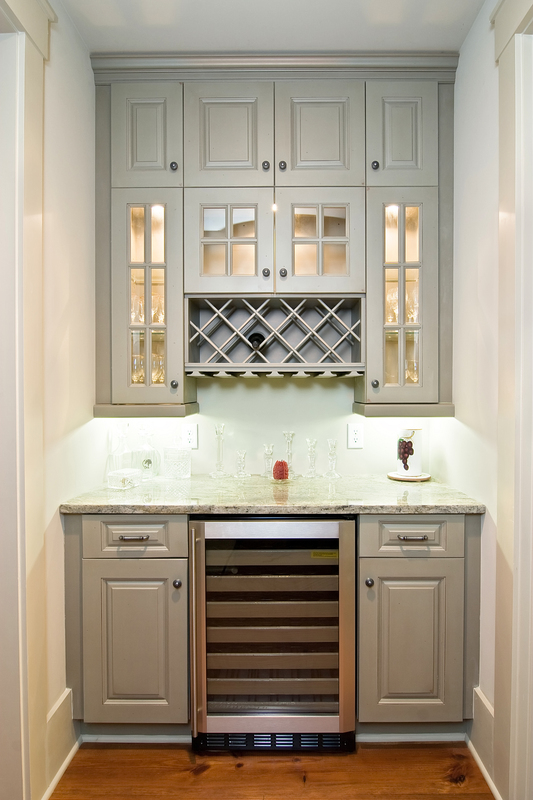 Butler’s Pantry - Think ice makers that make the pebble ice, wine fridge, an extra dishwasher, a warming oven, and other extras that can help with entertaining. 5. Smart Home Systems - Whether it is Vivint, Homeseer, Samsung Smarthings, Control4, Nest, Iris, or some other system that is designed to automate and simplify everything from lighting and thermostat to window treatments and streaming music to different parts of the house. People love these and not only do they simplify thermostats, music streaming, etc, but they also can reduce power usage. 6. Larger Garages - People love garages. Lots of people have extra cars, bikes, motorcycles, boats, side by sides, or other toys. Having a larger garage really resonates with Utah home buyers. 7. Mother-in-law, Barn, Carriage House or other outbuildings - It seems that every other person I talk to these days is looking for a home with a mother in law apt and they are in high demand as are barns and other outbuildings that can be used either as a rental or other functional space. You can see a current list of Utah homes with mother in law apartments here (also referred to as homes with accessory apartments) You can also see a list of current Utah homes with workshops here. 8. 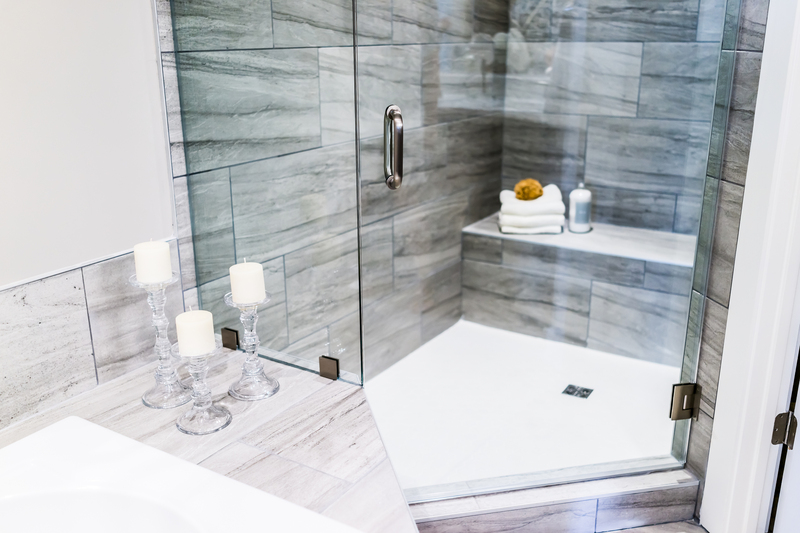 Spa Bathrooms - I have seen more and more upgraded master bathrooms with steam showers and stand-alone tubs and homeowners who are installing these after purchasing. The article also talks about high-end Japanese toilets, but haven’t seen that as often, at least not in many Utah real estate markets. 9. Natural Decor - Neutral tones for furniture, paint choices, and flooring choices. 10. Generator - This has become very popular and not just for “Preppers” (People focused on emergency preparedness), particularly in areas impacted by hurricanes over the last few years. Not sure whether you should buy or rent? Well as it turns out we are going to make it very easy for you to decide. We are going to cover a few typical situations that many consumers come across and answer the questions definitively. Here is when it makes sense to buy. If you have been at your current place of employment, or at least a couple years or you have a skill set that is in demand, then buying a home is probably in the cards for you. Buying your first home can create some anxiety. Now you are responsible for a mortgage payment on the first of every month. Plus there are additional expenses like property taxes and HOA fees. But don't despair. A good rule of thumb is to have several months worth of payments in the bank just in case you lose your job. This will create a strong sense of security for you if the inevitable occurs. And if you have a strong skill set, you will be able to find a job in no time. This is probably the opposite of what you might expect. But when it's a buyers market, deals are to be had. Over time home values normally do increase. And when the market turns around, the value of your home can increase substantially. You just want to make sure that the home your purchasing has inherent value. So how would you go about measuring this? Well for starters, you want to buy a home that has a great location and is zoned to good schools. Most people get scared when a crisis hits, but this can be the perfect time to pounce. A good school district is directly correlated to an increase in value for home prices. Parents always want their kids going to the best schools available. And homes locating near popular destinations are almost always in demand. Here are some typical situations where renting might be best. The house might be perfect for you. And it even might be in a great neighborhood. But do yourself a favor and check the property value for the last 10 years. If you are not sure where to find this information, ask your realtor. But there should be county records you can access. You want to make sure that home is trending in the upward direction. Here is what happens if the property value stalls out. You won't get any appreciation in value on your home. So assuming you are making property tax payments and you have a mortgage, you are going to be losing money on the home. Sure you can try and wait it out, but wouldn't it be easier not to. 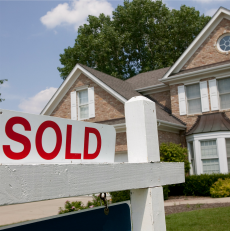 Plus don't forget, the seller is usually responsible for the commission on the home when it comes to sell. If this is you, then renting is an easy decision. Some people with families don't like the idea of renting because they need space including a front yard and a garage. Well nobody said you have to rent an apartment. Talk with your realtor who can show you some great houses for lease. If you are looking for a place to buy or an apartment to rent, Rentkidz finds rentals and homes for prospective clients. Get great service and have all of your needs taken care of in today’s marketplace. 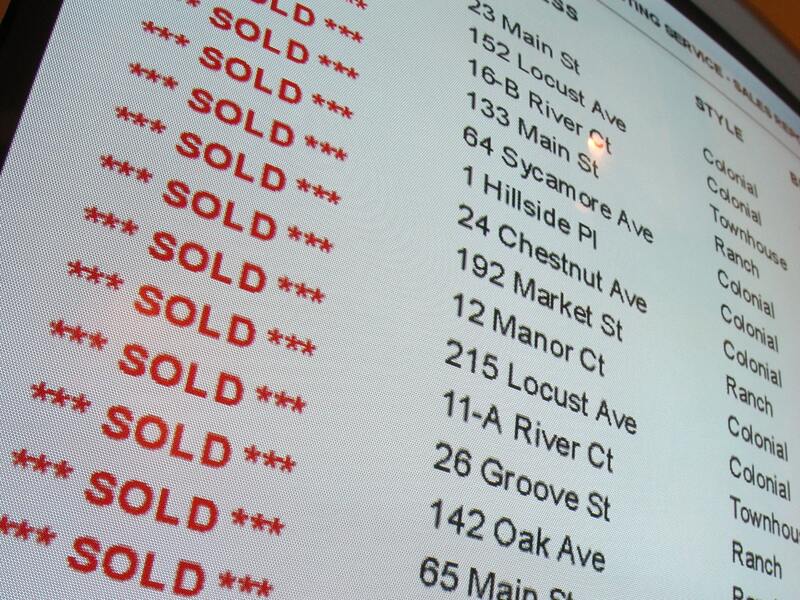 The mls is sometimes referred to as Multiple Listing System, but more commonly and universally known as the Multiple Listing Service. The mls is a database with different technologies. 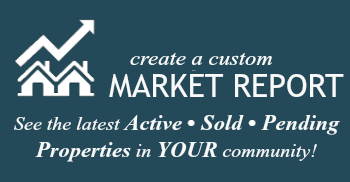 In Utah, the largest mls is the Wasatch Front Regional Multiple Listing Service “WFRMLS”. It is powered by Utah REALTORS® and it is maintained by the Salt Lake Board of Realtors. And although the Park City mls and St. George mls have their own mls database and a large and growing number of listings, they make their listings available on the WFRMLS. There are different mls databases in Utah (many of which are very small) and over 800 across the country. Most of the ones in Utah cooperate with the WFRMLS and it has over 95% of all the Utah real estate listings. The Utah mls is a private database which allows competing real estate brokers to cooperate with one another to sell real estate and make real estate transacting smoother. The mls system of cooperating has been around since the late 1800s and is a valuable and collaborative tool for REALTORS® and for the general public. The Salt Lake Board of Realtors was founded in 1917 and is Utah’s largest real estate trade association. The Utah mls allows real estate agents to sell property at the best price at right time for their clients. When properties are listed on the mls in Utah, it gets broadcast to all the agents and their clients who are looking in that area and are set up to search in that particular area. Our website has all the properties on the Utah MLS and is updated every 5 minutes. There are over 15,000 real estate agents in Utah. The mls in Utah on the utahrealestate website has over not only includes the vast majority of homes for sale, but it also has a list of Utah REALTORS® in which you can look up real estate agents. It has over 93% of all the agents in the state. The Utah mls doesn’t just have properties for sale, but includes rental properties as well as multifamily and commercial listings as well. 51% of homebuyers find their home online according to the National Association of Realtors. Having up to date and accurate information on the Utah mls is critical in order serve the public. In order to have accurate information, there is a specific form that Utah real estate agents use called the “Wasatch Front Regional Multiple Listing Service Listing Input Form”. It includes detailed information such as price, address, tax information, school districts, lot dimensions, amenities, features, show instructions, real estate agent information, etc. Our website is integrated with the real estate mls in Utah and has every listing in Utah and is updated by the MLS every 5 minutes. Every week I receive lots of different questions on real estate. Some of these are complex such as how to analyze a large real estate portfolio, while others are more straightforward. I am not an accountant or lawyer and I don’t play one on tv, but I am a real estate professional who has seen different markets from different angles. People often ask me about the real estate and financial markets and what I think will happen. There are economic forecasts that I review, and research I study. I monitor the yield curve, read history, and I review major national and local leading economic indicators. Given how significant the last business cycle was on real estate values, personal finances, and the overall economy, I can understand why many people would ponder this and wonder if they can time the market cycle and harvest their equity while they rent and then buy again. 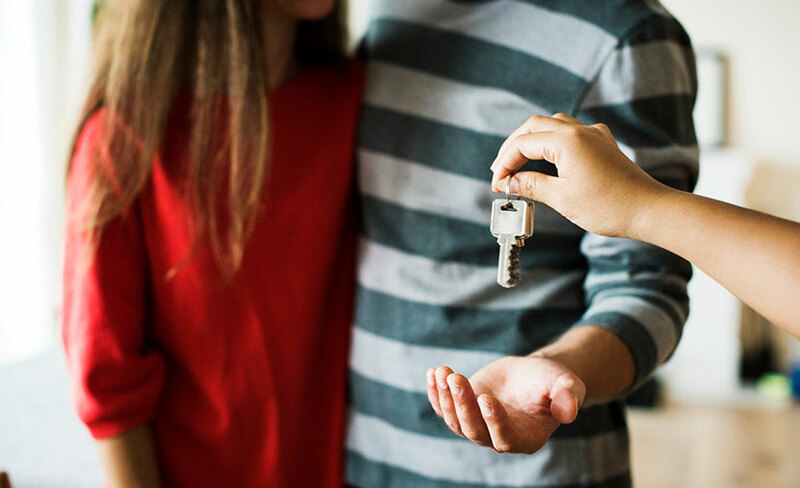 In addition to having gone through the pain of the last cycle, there are some reasons to rent instead of buying your personal home. These could include lifestyle, budget, timing (particularly with transitions), personal finances, marital and family situations, and a whole host of other reasons. Kevin O’Leary aka, Mr. Wonderful, from the hit ABC show, shark tank, thinks that everyone should rent unless they are married and have children. And while I disagree with Kevin on this (and many other things), renting can be great, and is often necessary for a huge portion of our population to provide a needed affordable option. Here are 7 things to consider when trying to time the real estate market with your personal home. While in some ways it may be the best investment you ever make, and for many, it is the biggest financial decision of their lives, it is more akin to a forced savings plan that offers ongoing utility. 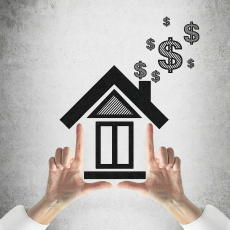 Most people don’t look at their home as an investment since you must continue to pay out for it every year and so from a cash flow perspective, it is sometimes looked at as a liability and cash outflow. Obviously, if you can generate positive cash flow from your home or have other investment real estate, it is different. There are other costs associated with home ownership as well. And unless you move to a much cheaper area or downsize, you are going to continue to need housing. So, when the equity in your home rises, so do all the homes in your neighborhood. Moving can be very difficult and downright traumatic for some. Depending on the attitude, age and the distance moving and network, moving is disruptive and requires a lot of change and adjustments. Do you really want to move your family to a rental for an indeterminate amount of time, then move again hopefully at a better cost basis? It can cost up to 10% to sell your home. It can be a bit lower, but 10% is a good ballpark figure. And while you may not have quite as much cost to buy, you will still have closing costs and expenses incurred in moving and settling into a new place. No one has a crystal ball. 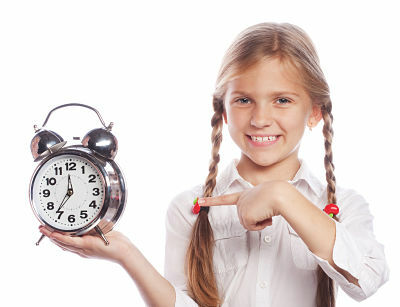 Even the best “market timers” miss all the time. You are just as likely to miss out on more appreciation than you are to miss out on any adjustments. I have known families in Utah who sold their home a year or more ago to try and capture their equity and get back in at a better time. Home prices went up in Salt Lake County by 10% in 2017. The median home price is hovering right around $350,000 as of right now. They lost out on a lot of appreciation during this past year and a half. As any mortgage lender or financial planner will tell you, most of the interest you pay for your home loan is weighted up front and as you get closer to the end of your loan, the amount towards principal and interest flip, and you pay less and less interest. By resetting the clock by trying to time the market, you end up paying more mortgage interest upfront and you lose out on that continued amortization of the loan. Do you remember Newton’s first law of motion? Every object will remain at rest or in uniform motion in a straight line unless compelled to change by external forces. Home ownership has been likened to getting on a train. You jump on as soon as you can, and you hold on. If you get off, there is no certainty that you will be able to board again. I have seen people who thought they would sell their home and have all this equity but then are not able to buy a home that they have any interest in living in again because prices have gone up. In addition to the dollars and sense (pun intended) of home ownership, there are psychological and social benefits of homeownership. People will tend to invest more time and energy into relationships with neighbors and others when they own. In addition, there are a host of positive benefits of homeownership including higher test scores and less in children of homeowners, greater civic engagement, and better health outcomes to name a few. For families who have children between the ages of five and seventeen that are looking to move either to or within Salt Lake City, schools are a critical factor in the decision-making process. This is especially true at the elementary school age level, where young minds are given the foundation for the rest of their academic careers. It is integral that schools are convenient and easily accessible, offer a wide range of both curricular and extracurricular programs, and ultimately ensure a superior educational experience. 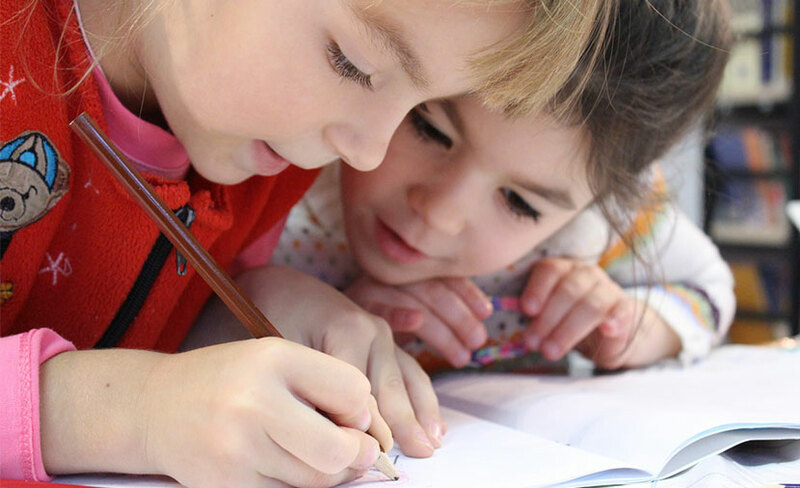 Niche put together a fantastic guide of the top Elementary Schools in Salt Lake City for 2018-19 using rigorous analysis of key statistics and millions of reviews from both parents and students. They also used a wide variety of data directly from the U.S. Department of Education. Ranking factors include teacher quality, district quality, state test scores, student to teacher ratio, and student diversity. Canyon Rim Academy has just over 500 students enrolled and is located at 3005 South 2900 East in Salt Lake City, UT. It currently has a student-teacher ratio of 23 :1 and boasts math and reading proficiencies of around 70%. This school is currently ranked as the best overall public elementary school in all of Salt Lake City according to the Niche guide. Canyon Rim aims to help students achieve their academic, social, and emotional potential and offers a wide variety of core knowledge (math, science, english) and liberal arts courses. Beacon Heights Elementary School is located at 1850 South 2500 East in Salt Lake City, Utah. It has around 500 students currently enrolled and a student-teach ratio of 25:1. Beacon Heights scores very well academically, as 80% of students are proficient in math and almost 70% are proficient in reading. Staff and faculty are also very well reviewed, as many parents went out of their way to share positive reviews of core subject instruction and quality extracurricular / after school programs. Ensign Elementary comes extremely highly recommended by students and teachers alike. With an impressive student-teacher ratio of 19:1 and under 400 students currently enrolled, Ensign ensures that each child gets plenty of attention and instruction. Located at 775 - 12th Avenue, over 70% of students are proficient at math and reading, while the computer, extended learning, and music programs are all fantastic extracurricular activities available to Ensign attendees. Located at 1675 South 600 East in Salt Lake City, Hawthorne Elementary has just under 450 students. 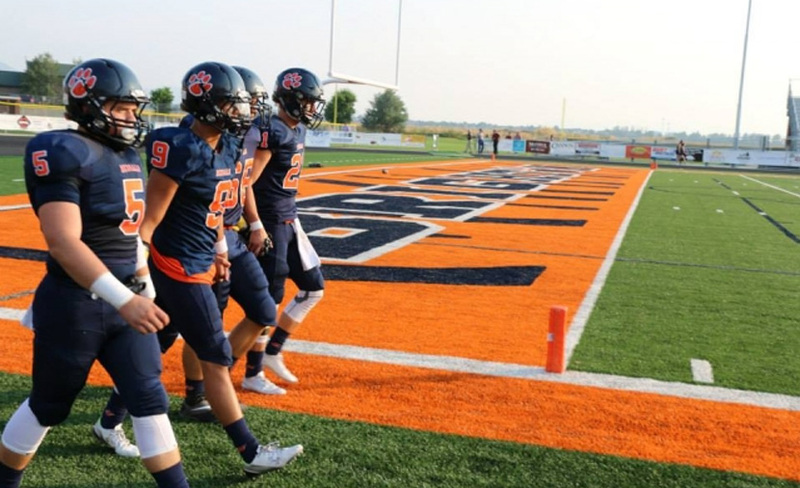 Named after famous American author Nathaniel Hawthorne, Hawthorne is currently ranked better than 96.6% of schools in the entire state of Utah. 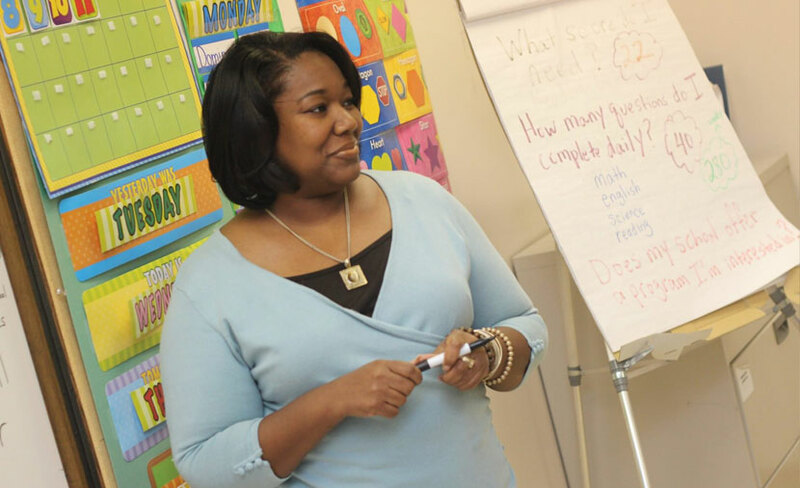 With a student-teacher ratio of 23:1 and a math and reading proficiency level of around 70%, students are given the proper tools and environment to succeed. Hawthorne also offers an ELP program for gifted students, which has received extremely high praise from both parents and children. Indian Hills currently has just under 500 students enrolled and is one of the top performing elementary schools in Salt Lake City. Test scores are also quite good, as 70% of students are proficient at math and reading - far above state averages. The school is located at 2496 St. Mary’s Drive. 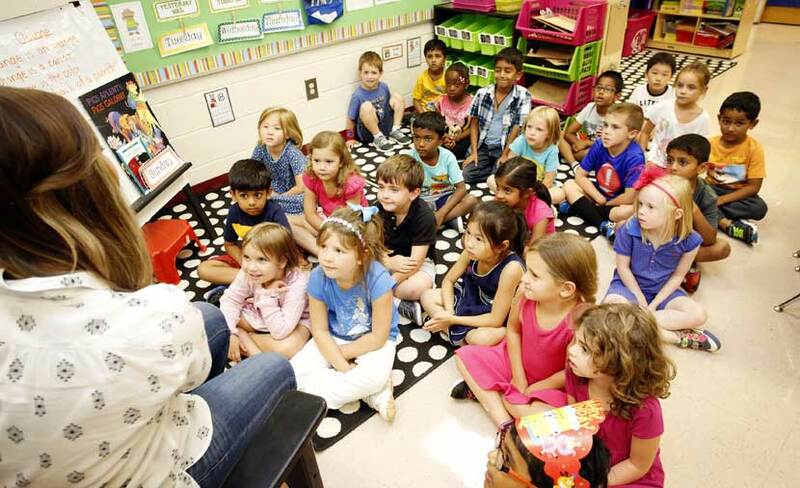 With a student-teacher ratio of 21:1, class sizes are certainly quite reasonable as well. 96% of the teachers at Indian Hills have 3+ years of experience, which is also well above the current average for the rest of Utah (84%). Uintah Elementary School has been one of the top performing elementary schools in Salt Lake City for quite some time now. The school is located at 1571 East 1300 South and has almost 600 students. Students have excelled in math, reading, and science at Uintah, as around 75% are proficient in all three subjects - far, far above the state average of around 50%. The current student-teacher ratio is 24:1, which is right around average. Students rave about the computer program and flexible homework options - and school spirit is promoted year round with plenty of unique theme days and events. Located at 1145 South 1900 East, Bonneville has over 525 students enrolled and a respectable student-teacher ratio of 22:1. Academically, the school performs well above the state average in English, Math, and Science - with over 80% of students being proficient. This is over 30% higher than the average scores for the rest of Utah. Bonneville also has an excellent program for students with disabilities, as over 55% are proficient compared to just 22% for the rest of the state. 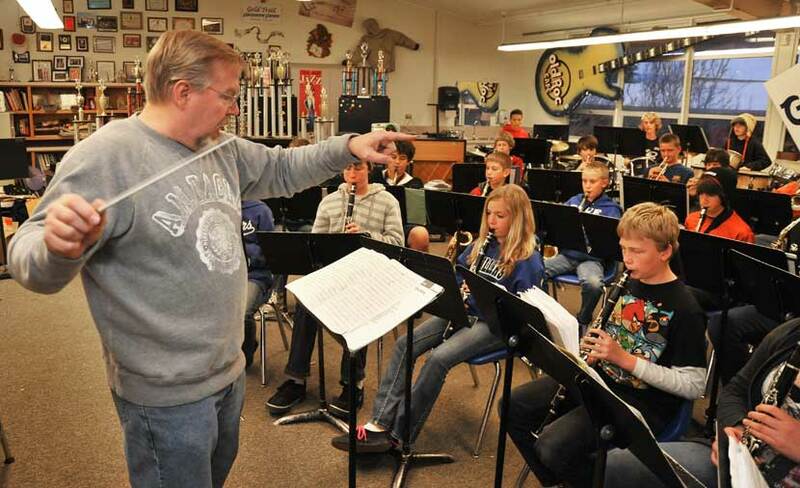 With student artwork on display in the hallways, a dance program, and an excellent music program, Bonneville offers one of the best student experiences at the elementary age-level in all of Utah. 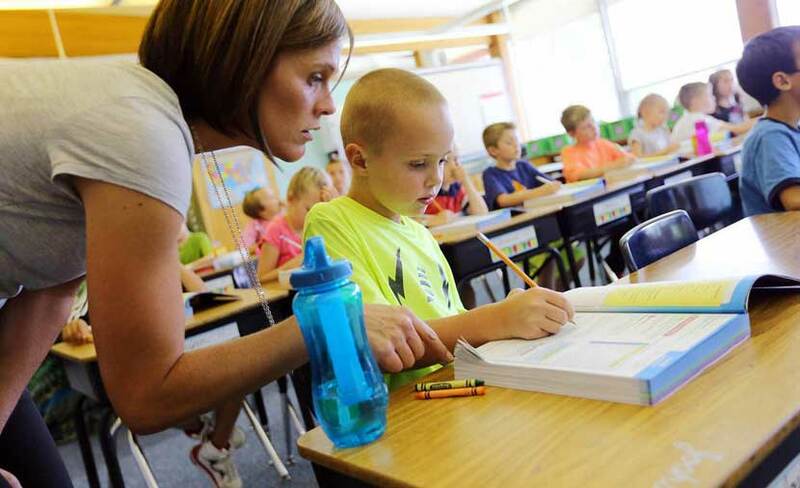 With just under 500 students currently enrolled, Wasatch is certainly a medium-sized elementary school that consistently scores 20-25 percent higher on math, reading, and science proficiency tests than other schools throughout Utah. Located at 30 R Street, the school has a fairly decent 23:1 student-teacher ratio. Students love how much the curriculum encourages and provides opportunities for them to explore the arts - there is even a yearly arts festival. Highland Park Elementary currently has almost 750 students currently enrolled, making it one of the bigger schools on this list. However, it still has a lower than state average student-teacher ratio of 21:1. Tests scores are also quite good, as 70-75% of students are proficient at reading, math, and science. There is also a heavy focus on the arts, as students put on a wide variety of musical performances, dance recitals and plays throughout the year. The “Hands-On-Science” programs are also a big hit with both students and parents. Teachers go above and beyond to establish good relationships with parents as well - culture/learning environment is especially important at Highland Park. Emerson Elementary School has almost 600 students currently enrolled and is located at 1017 Harrison Avenue S., which is in the southeastern part of Salt Lake City. Students score 15-20% higher on proficiency tests than the state average for K-6 math, reading, and scientific evaluations. The student-teacher ratio is at a very respectable 22:1, and almost 100% of teachers at the school have 3+ years of experience. Students at Cottonwood consistently score well above the state average on proficiency tests for reading, math, and science. The science program really stands out from other schools in the Salt Lake City area, as 80%+ of students score well on exams. Howard R. Driggs is located at 4340 South 2700 East in Salt Lake City and has almost 700 students currently enrolled from K-6. The school does extremely well on state-wide proficiency tests, as 75-80% of students excel in reading, math, and science. Howard R. Driggs also has a fantastic program for students with disabilities, as students in the program score almost 30% higher on average than some of the other programs offered across Utah at the elementary school level. With a friendly office staff, unique online assignments, and a very tight-knit community, Howard R. Driggs certainly has a lot to offer prospective students. With around 600 students currently enrolled, Oakwood is a medium-sized elementary school with a slightly higher than average student-teacher ratio of 28:1. However, Oakwood students score between 70-75% on proficiency tests, which is well-above the state average of around 50%. They also offer students several fantastic extracurricular options, including the extremely popular Chess Club. The arts and music program is also very highly praised as well. There is a ton of parental involvement and an environment that truly promotes growth, fun, and achievement. Located in the southern part of Salt Lake City, Butler Elementary is a top performing elementary school that consistently scores above the state average in reading, math, and science proficiency. Students with disabilities also do quite well at Butler, as they score almost 20% higher than students enrolled in other programs across Utah. The school also has a lower student-teacher ratio (20:1) than most of the other elementary schools in the greater Salt Lake City area. Butler also boasts an impressive new building, which really stands out from other elementary schools in nearby neighbourhoods. Thanks to a $250 million grant approved by voters in 2010, the school re-opened in 2016 and has 30 classrooms with new lighting, audio-visual technology, windows, gym, common areas, and recreation room. There is also a highly-praised French immersion program available to all students as well. 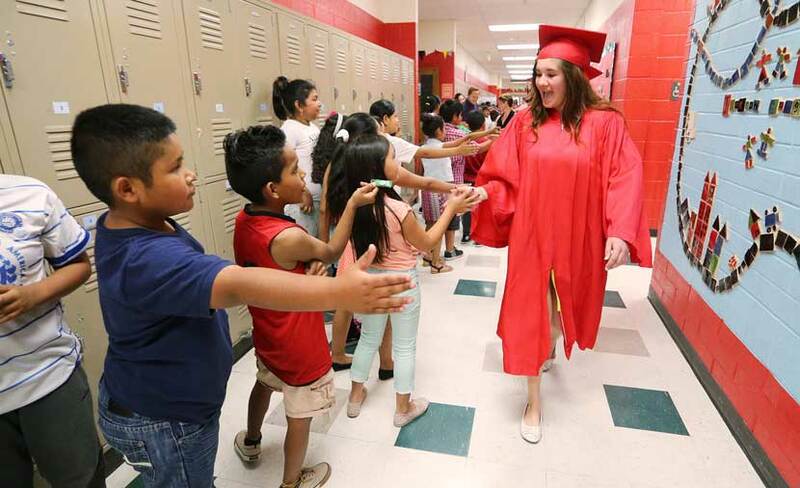 Morningside currently has almost 700 students enrolled, making it one of the bigger elementary schools in the Salt Lake Public School District. Students perform quite well in reading, math, and science, as the school is consistently 15-20% higher than the 50% proficiency average. It also has one of the better programs in the entire city for kids with disabilities, especially in English - 65% of students in the program are considered proficient, compared to just 11% across the rest of the state. The French immersion and Magnet (accelerated learning for gifted students with a focus on greater independence, especially outside the classroom) programs are both fantastic as well. The Salt Lake City, Utah area certainly provides a number of exceptional elementary schools that have a wide variety of unique programs for students from K-6. It is fairly easy to find a school in the Salt Lake area that performs 30%+ higher than the overall state average. This is also true for students who have disabilities and need special care and attention. Although this list is quite comprehensive, it only covers 15 out of over 100 elementary schools in the greater Salt Lake City area - there is certainly no shortage of education options. If you are considering a move to or within the city, please contact the Harvest Park Group today for assistance in making the best choice for your family. We have in-depth neighborhood guides and pride ourselves in providing the best available information to help you make an informed decision. Buying a home is undoubtedly exciting. But it can also be a stressful time - especially for first time home buyers. What should you do ahead of time? How does the process work? And how can you guarantee that your first time buying a home goes smoothly? The endless list of unknowns can be intimidating - not to mention, a tad scary. If you are reading this article, you’ve come to the right place. We will provide you the info to get you started. After all, there is more to buying a home than house hunting! This should go straight to the top of your list. Don’t start viewing homes until you have a financial plan in place - and a budget. Find out what your down payment should be. 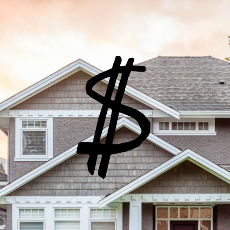 What is your price range for homes? What is your maximum amount? And first and foremost, shop around for a decent mortgage rate. Assess your best options and find out if you are eligible. Most people can’t afford a home without a mortgage - and chances are, you can’t either. You’ll need it if you want to become a first-time homeowner. If you are worried about your credit, work on bumping up your score and reliability if you know you want to buy in the next few years. It may take time to get your finances in order. Buying a house can cost you - and it won’t just be for the actual cost of the house. Real estate agents, closing fees, inspection fees, and eventually, monthly utility bills add up. Make sure you are aware of all these hidden variables. On another note, also look into tax rebates or tax payments that come into play. These should also be top of mind. Also known as a buyer’s agent, a real estate agent can help you make good decisions - based on the market and your budget. They know where houses are being sold and can help you with researching places and areas. They also can set up viewings for you. Choose someone who is experienced and has been in the biz for more than a few years. The last thing you want to do is move into your new place only to find mold or asbestos. Talk about extra expenses! Get that home inspection. Although most home inspections cost 300-500 dollars, it’s worth it. They make sure everything is up to code and can give you a peace of mind - you’ll know you aren’t moving into a fixer-upper with added costs. And Lastly, Decide On Your Priorities Before Looking! What matters to you the most? Do you want to start a family in this home? Do you want to be close to your gym? Do you need a 2 bedroom and bath kind of place? Write down your priorities ahead of time. Make them clear to your agent and then, scout out the houses that have them. And remember, have fun! You’re opening a new chapter as a first-time homeowner. Enjoy the moment! 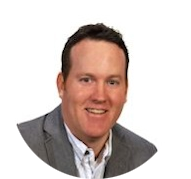 Kurtis Forster is a real estate agent for Nu-Vista Premiere Realty Inc. in London, Ontario, Canada. For families who have children between the ages of fourteen and seventeen that are looking to move either to or within Salt Lake City, schools are a critical factor in the decision-making process. This is especially true for students entering high school, a time where young adults are beginning to slowly transition towards post-secondary education before eventually entering the workforce and full-time careers. It is integral to find a high school that is positively reviewed, has dedicated and passionate teachers, and offers a wide range of both curricular and extracurricular programs to give your child the best chance of success after graduation. Niche.com has put together a fantastic guide of the top High Schools in Salt Lake City for 2018-19 using rigorous analysis of key statistics and millions of reviews from both parents and students. They also used a wide variety of data directly from the U.S. Department of Education. Ranking factors include teacher quality, district quality, state test scores, student to teacher ratio, and student diversity. Located in the southern part of Salt Lake City, the Academy for Math, Engineering, and Science (AMES) is arguably the best high school overall within Salt Lake City. Students consistently perform 15-20% above state averages, excelling in English, Math, and Science. With just under 500 students currently enrolled, it is also one of the smaller high schools in Salt Lake City. AMES students really take advantage of AP courses, as over 80% of those enrolled take advanced classes - compared to just 18% on average across the rest of Utah. Some courses from the University of Utah are also offered to students. With a low 18:1 student-teacher ratio, students really receive a ton of individual attention. Despite having average test scores overall, this relatively small niche high school receives a ton of praise from its 300 or so students. 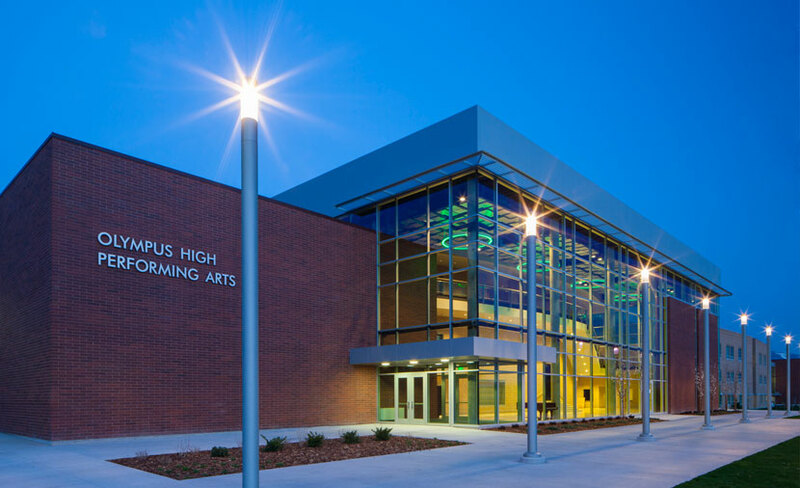 With a clear focus and dedication towards the arts, the Salt Lake School For The Performing Arts provides students a safe and fun atmosphere to hone their craft. The sense of community is second to none, and all staff members do a great job combining academics and the love of performing art. Students are provided with college-level drama and music classes by high school instructors who are among the best in the business. It was recently voted the best Charter School in all of Utah, an extremely prestigious honor. 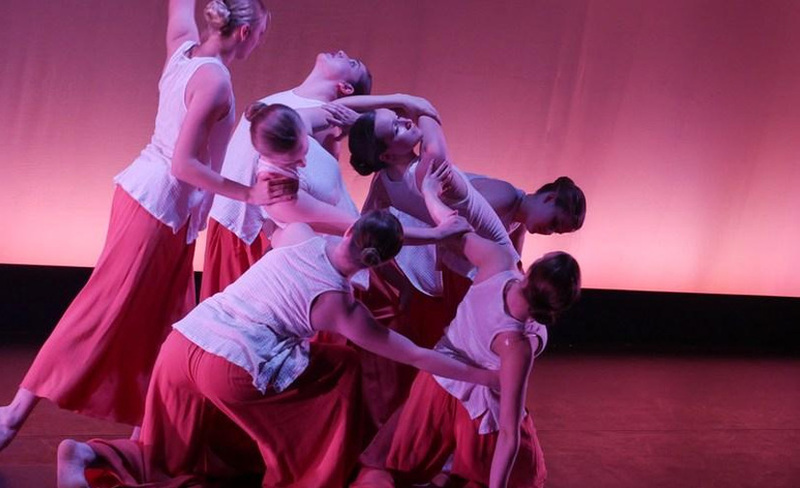 With no extra tuition costs, students from a wide variety of socioeconomic backgrounds have a chance to pursue their love of the arts. West High School is located in the heart of Salt Lake City and currently has over 2,300 students enrolled - making it one of the biggest high schools in Utah. Students usually do quite well academically, routinely scoring around 10-15% above state averages in English while coming just above typical performances in Science and Math. Despite having such a large number of students in attendance, the student-teacher ratio is right at the state average (23:1). West High School also has one counselor per 400 students, nearly double the average for other high schools across Utah. The teaching staff is quite experienced, as 100% of the faculty has 3+ years of experience - well above average compared to other high schools. 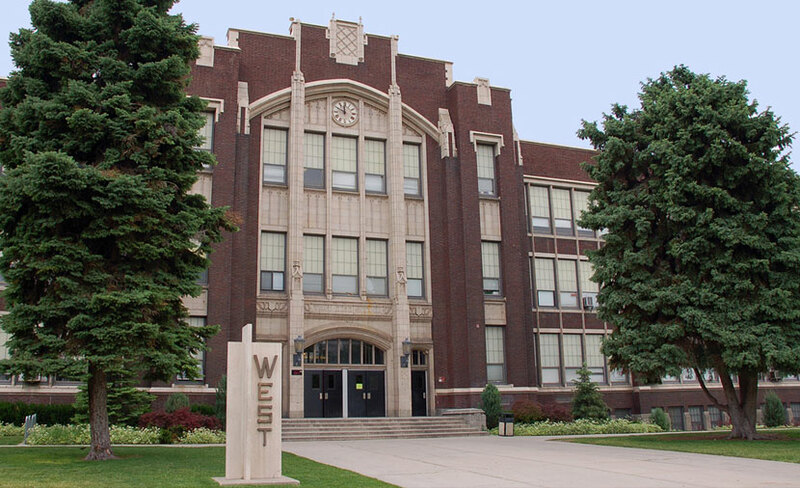 With a flexible AP program and many clubs, teams, and other extracurricular activities available to students, West High School has something to offer everyone. To top things off, there is a unique blend of racial and socioeconomic diversity that encourages a sense of belonging and acceptance - there is a ton of school spirit and an unmistakable sense of community. Brighton is another large high school, as it currently has over 2,100 students enrolled. Located at 2220 East Bengal Blvd. in the southeastern part of Salt Lake City, Brighton routinely outperforms the state-wide academic averages in Math, English, and Science. Students with disabilities also see increased academic performances at Brighton when compared with similar programs offered throughout Utah. The student-teacher ratio is definitely quite reasonable for such a large school, as it currently sits at 24:1 - barely above the state average. For athletes, Brighton’s sports-teams routinely excel against other high schools and consistently are in the hunt for city championships. Many students give high praise to the AP programs offered here as well, although the math and science options are both extremely challenging. Offering courses to students in grades 10-12, Olympus High School currently has about 1,500 young adults enrolled. Although they fall a bit under state averages academically, Olympus has some of the best sports/athletics departments in all of Salt Lake City. There is certainly no shortage of school spirit and many ex-students rave about how much they enjoyed their time here. 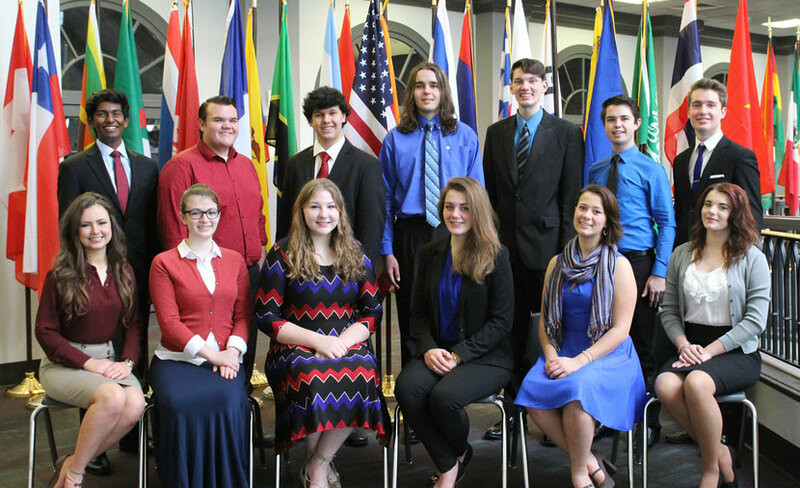 “Oly”, as many students refer to it as, also likely has the most extracurricular clubs to choose from as well. Access to these programs really promotes a sense of discovery and creates a balanced lifestyle for teens before they move on to post-secondary institutions or enter the workforce. In short, Olympus makes sure to guide their students to give them the best chance of succeeding in the next chapter of their lives after high school graduation. Skyline High School is located in southeastern Salt Lake City. Offering courses from grades 9-12, Skyline has around 1,500 students currently enrolled in classes. Academically, the school performs fairly close to state averages - except in English, where students really seem to excel. Around 50% of those attending Skyline participate in AP classes, which is very high compared to other schools across Utah. 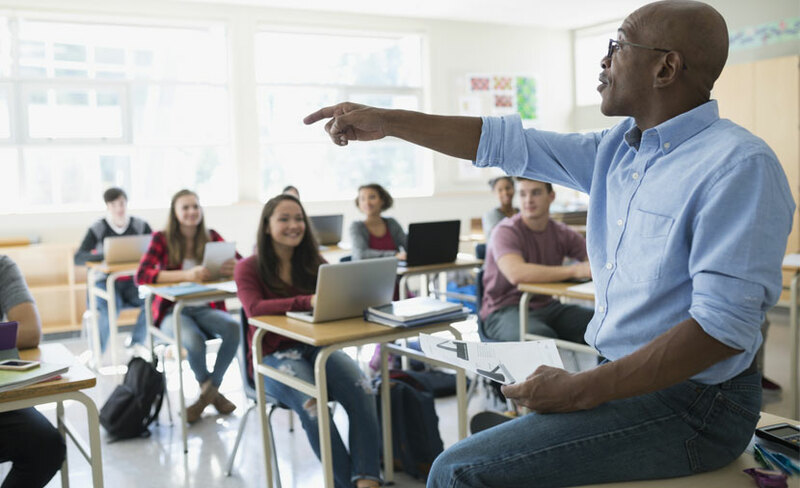 The student-teacher ratio of 24:1 is very close to average, while the number of counselors per student is quite high compared to other high schools in Salt Lake City (one counselor per 400 students). While some students struggle with some of the faculty in the Science and Math departments, the English and History departments are extremely well-liked and widely considered one of the best in the city. 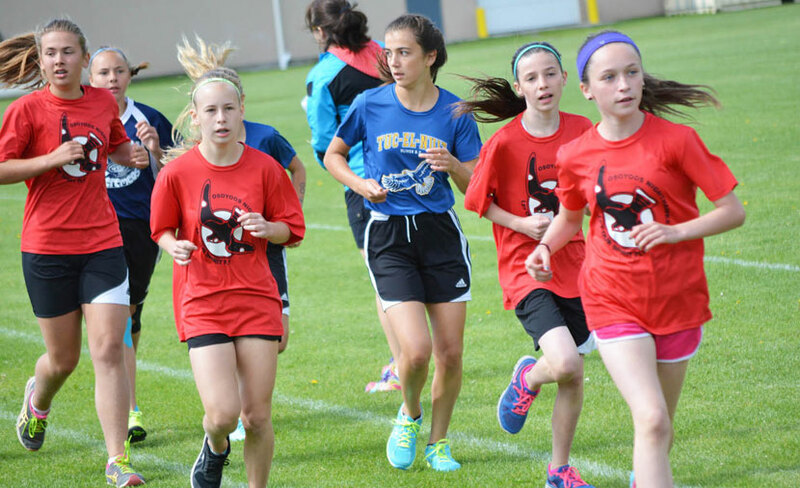 Students also have a wide variety of sports and clubs to choose from as well. As the name suggests, this high school is known best for its science department - and it shows academically. Students here routinely score 20%+ higher than the statewide high school average in Science. With extremely small class sizes (17:1 student-teacher ratio, almost six students per class less than the Utah average) and an extremely knowledgeable faculty, the Salt Lake Center for Science Education is the place to go if you love Biology, Physics, and Chemistry. 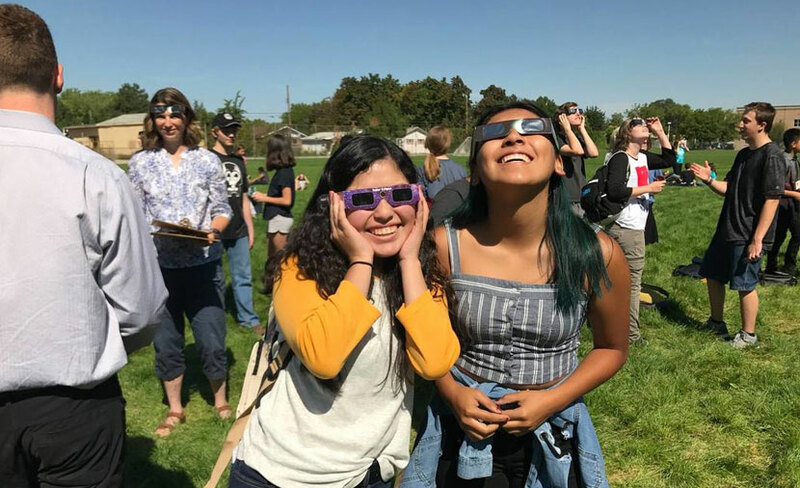 Although lacking in clubs and teams, the school does offer a wide array of unique programs in association with the University of Utah - including a ton of hands-on learning, field trips, and participation in college-level research projects like “Hawk Watch”. SCLSE currently has just under 400 students, giving it a family-like feel that is often missing at many larger high schools throughout the city that have 2,000+ students enrolled. Highland High School is located at 2166 South 1700 East in Salt Lake City and has over 1,600 students currently enrolled in Grades 9-12. The school performs just below average in terms of statewide proficiency tests, however, does have a lot of AP course participation - almost double the average across the rest of Utah. It also has a low student-teacher ratio as well as a low student-counselor ratio. Spirit Week at Highland is always a big hit with students, while 85% of them agree that there are plenty of clubs and organizations for them to get involved in. 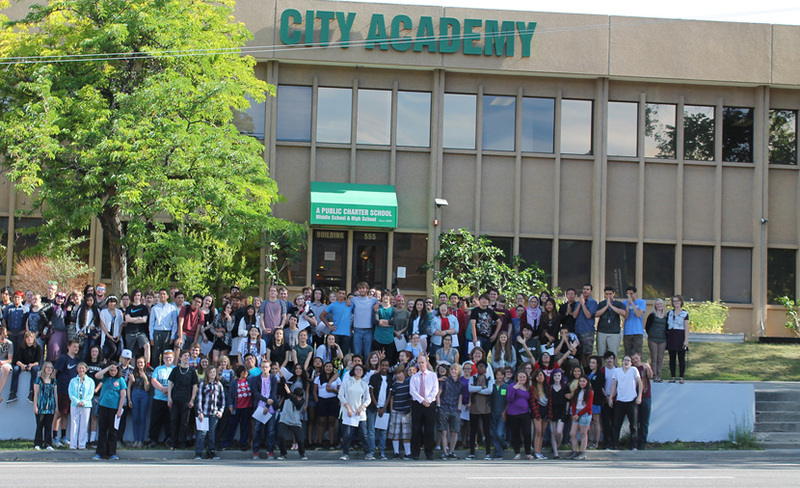 With barely 200 students currently enrolled, City Academy is a small high school that offers courses to students from Grades 7-12. 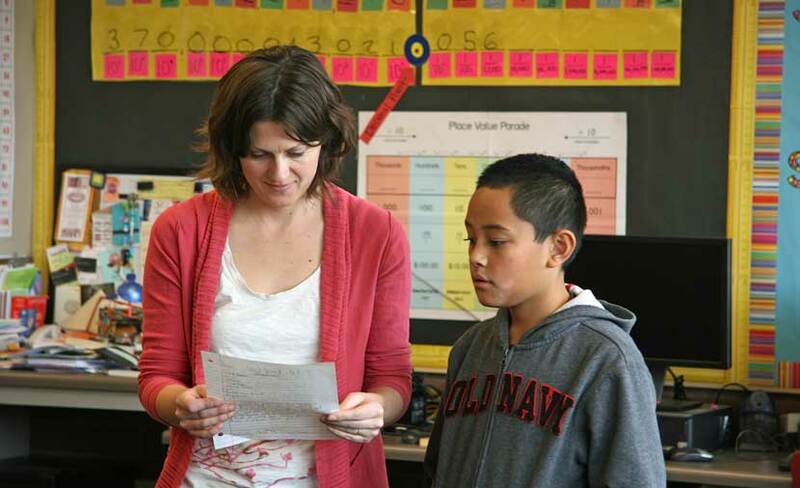 Performing around the state average in terms of English, Math, and Science, students at City Academy enjoy one of the best student-teacher ratios in all of Utah - 14:1. The smaller classroom sizes allow for plenty of one on one attention and is definitely a big draw for prospective students. The smaller, community-like atmosphere also creates a safe, comfortable environment for students - many have commented on the lack of bullying and how much they enjoy attending a school that has such a positive environment overall. City Academy also has a stellar Theatre department- much of the first floor of the school is dedicated to the Arts. 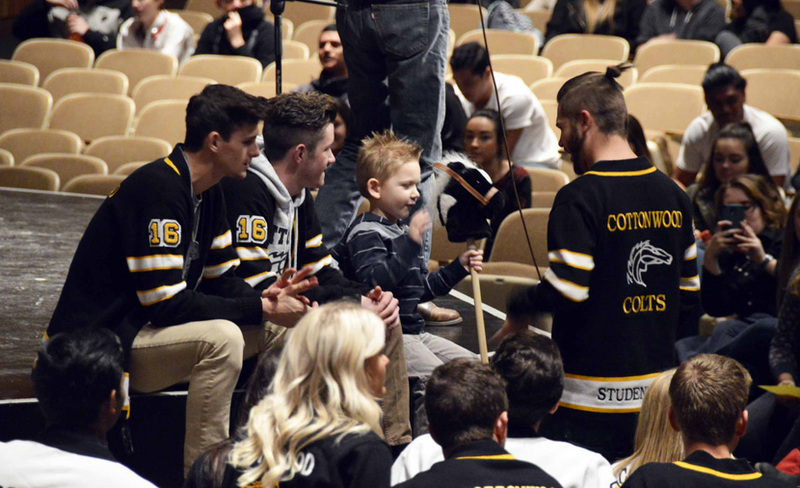 Located in the southern part of Salt Lake City, Cottonwood High School has an extremely diverse student body consisting of nearly 1,500 students. 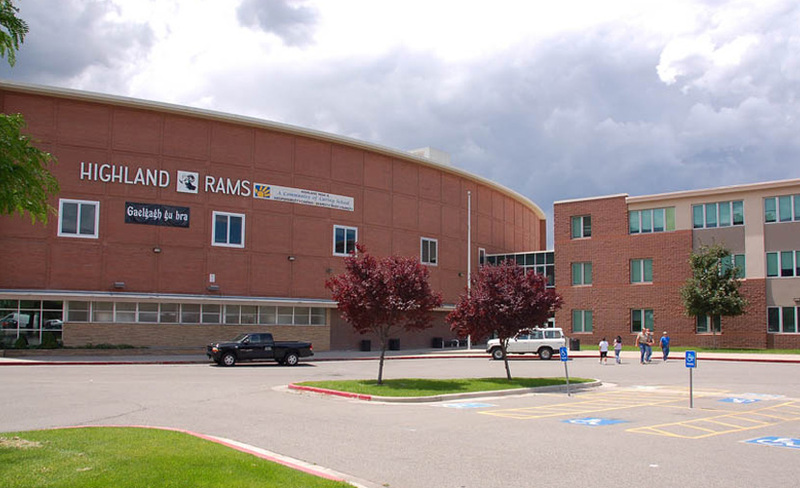 Although certainly not the best school in terms of academic performance, Cottonwood made this list due to their unique school community that promotes inclusion and acceptance of students who come from a wide variety of nationalities and socioeconomic backgrounds. There are many school-sanctioned events throughout the year that aim to highlight various cultures, traditions, and belief systems. This really helps students to broaden their horizons while also allowing them to see and understand the world better as a whole. There are over two dozen languages spoken by students who attend Cottonwood, while the faculty and staff does a wonderful job of making everyone feel at home. A food pantry initiative was also recently started to help provide healthy food to students who are in need. Cottonwood also has an excellent music program and a baseball that routinely is a top-performer in the entire state. The Salt Lake City, Utah area certainly provides a number of exceptional high schools that have a wide variety of unique programs for students in grades 9-12. 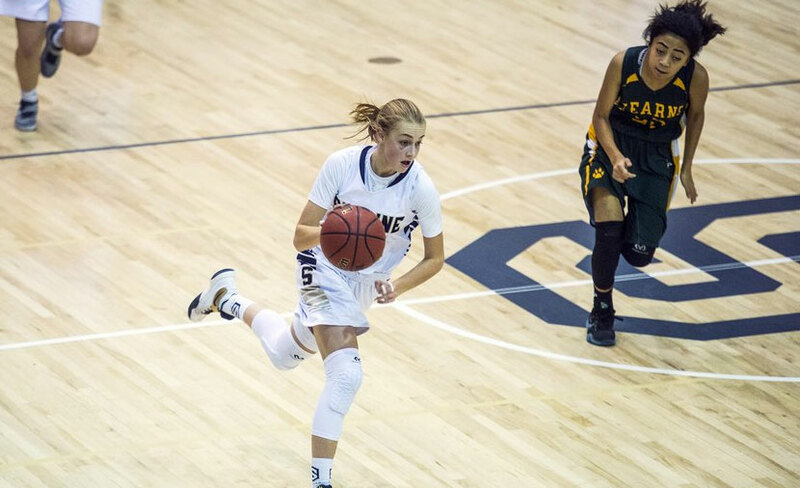 It is fairly easy to find a school in the Salt Lake area that provides courses or extracurricular activities tailored specifically to your child's strengths. From Science, Math & Engineering, Athletics, and the Performing Arts, Salt Lake City truly has so much to offer young adults at the high school age. Although this list is quite comprehensive, it only covers 10 out of over 55 high schools in the greater Salt Lake City area - there is certainly no shortage of education options. If you are considering a move to or within the city, please contact the Harvest Park Group today for assistance in making the best choice for your family. We have in-depth neighborhood guides and pride ourselves in providing the best available information to help you make an informed decision.